Designing a new website is essentially a marketing activity. The decisions that are made at the development stage could impact the ability for your investment to grow with your business or if redesigning, could greatly impact your organic traffic. Years of experience working with clients who have ultimately been limited or constrained by poor choices when the websites were structured, and suppliers selected, have led us to develop our own solutions. We have developed a strategy that is designed to address immediate needs but also build a foundation to grow with your business needs and be adaptable to the ever-changing digital landscape. We consider every part of your business and find a solution within your budget and fit for purpose. We also hand full ownership of the asset to your team and provide a solution that can be easily updated and managed in the main by content producers. We can also provide custom training specifically for key team members in how to use CMS as well as SEO Style Guides and performance tracking reports setup in analytics or Data Studio. PayPerClick have an experienced team of web specialist designers that can assist with new website creation from start to finish with an SEO approach that is results driven, ensuring your website is indexed by search engines with functional design. 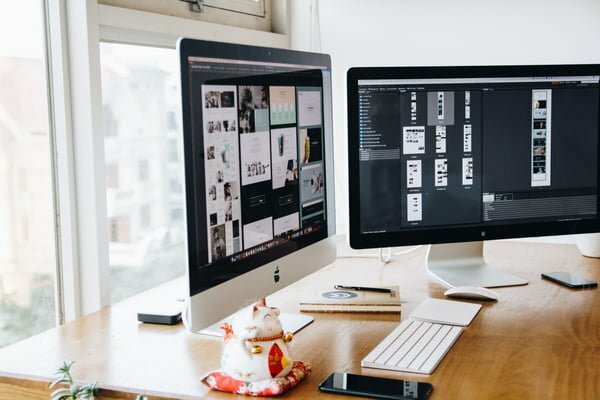 Whether you’re looking for a website rebuild or are creating a new website we have the tools and processes to ensure that all elements of a successful site are considered, and your investment will continue to hold value for years to come. For more information about how PayPerClick can assist your company with Website Design, SEO and useability, call +61 2 9970 8486 or contact us.